Thornton Colorado, a wonderful city that consistently ranks among the most desirable places to live in the U.S. Located right off of I-25, the 124,000 residents of Thornton have direct access to all of the business and night life of Denver, while keeping the community feel of the suburbs. 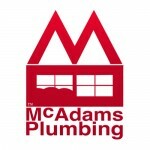 McAdams Plumbing is your best choice for plumbing repair in Thornton. Let’s take a look at some of the many services we offer. So no matter where the clog is, we can get it cleared for you. We’ll have your home running like new as soon as possible. If what you need taken care of isn’t on this list, just give us a call. We’ll be glad to let you know if it’s something we handle. And if for some strange reason we can’t take care of you, we’ll do our best to get you to a company we trust that can. Leaks can be a homeowners worst nightmare. At McAdams Plumbing we take leak detection and repair very seriously. We’ll do everything we can to limit our intrusion in your walls while locating the source of your leak. It is very important though to make sure you stop the leak at the source, not just cover up a symptom. Let our experienced, licensed plumbers do the footwork finding and fixing the source of your leak. The best way to protect your home from water damage is by installing a WaterCop Automatic Water Shut-Off Valve. 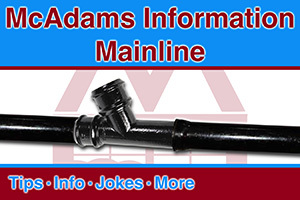 This device is placed on your main incoming water line. Wireless sensors placed around your home send a signal to the WaterCop unit when they sense water, which turns off all the water to your home. This can be an invaluable tool for preventing damage caused by pipe breaks or water heater failures. We hope that you found what you’re looking for. 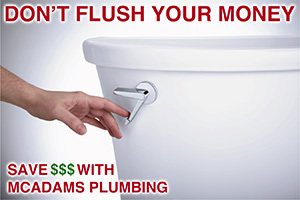 If McAdams Plumbing can be of any service to you now or in the future, please don’t hesitate to call, 303-465-1900.